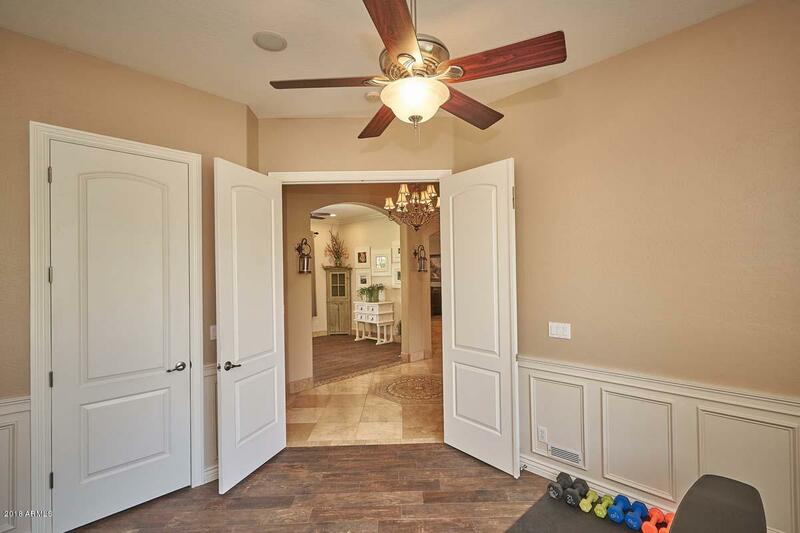 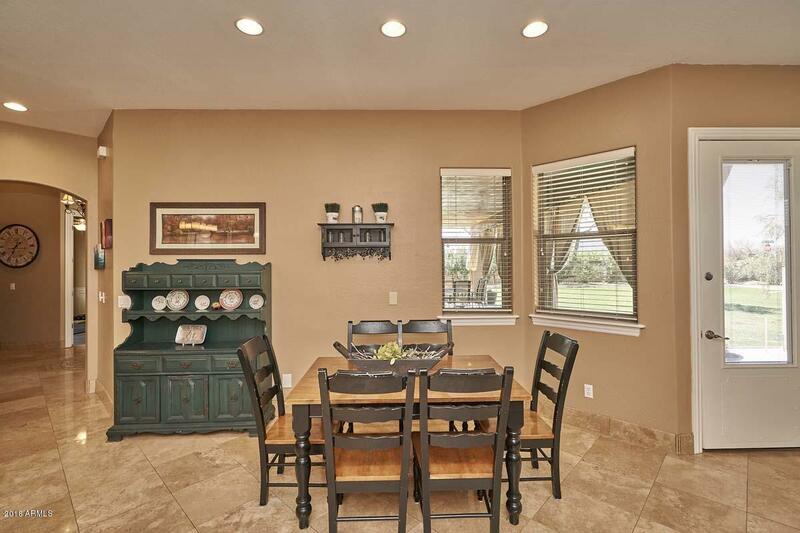 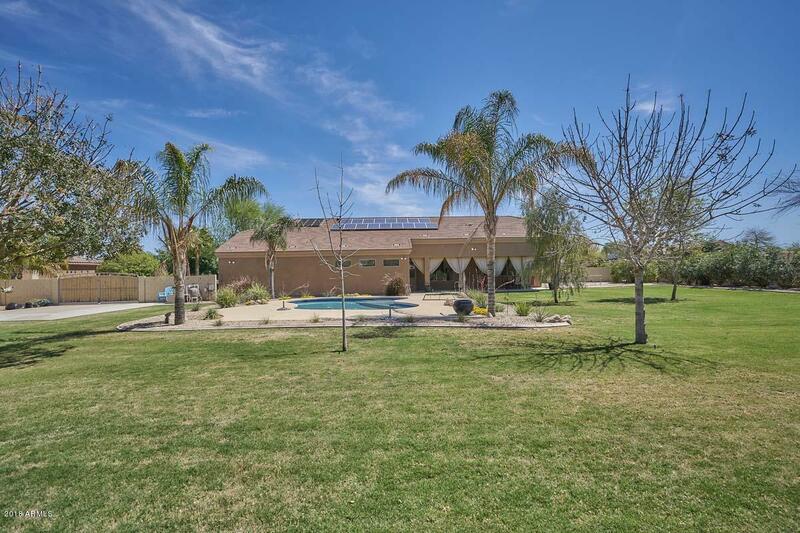 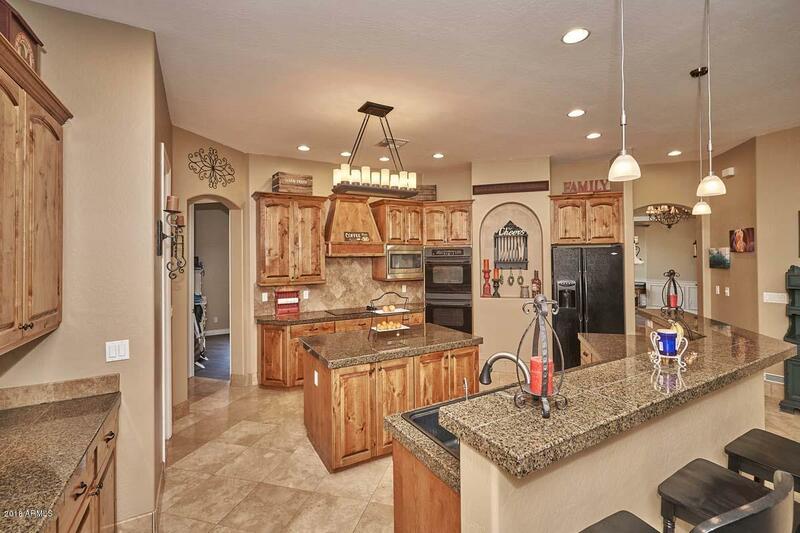 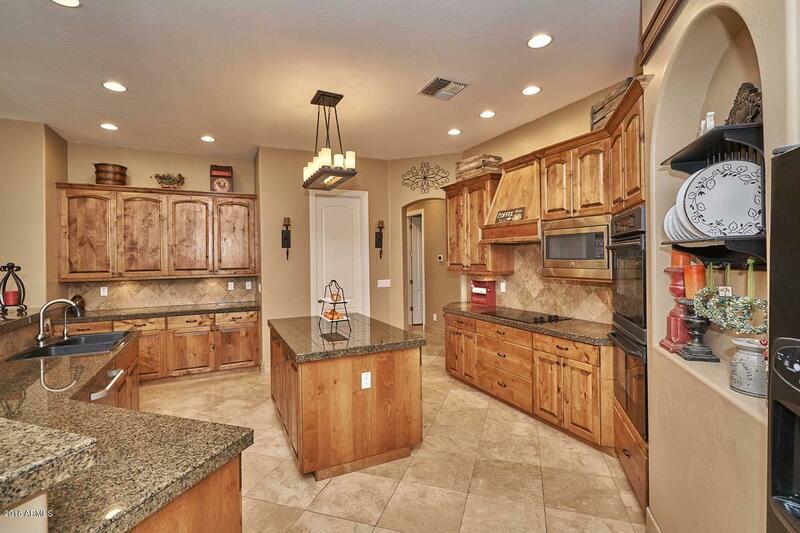 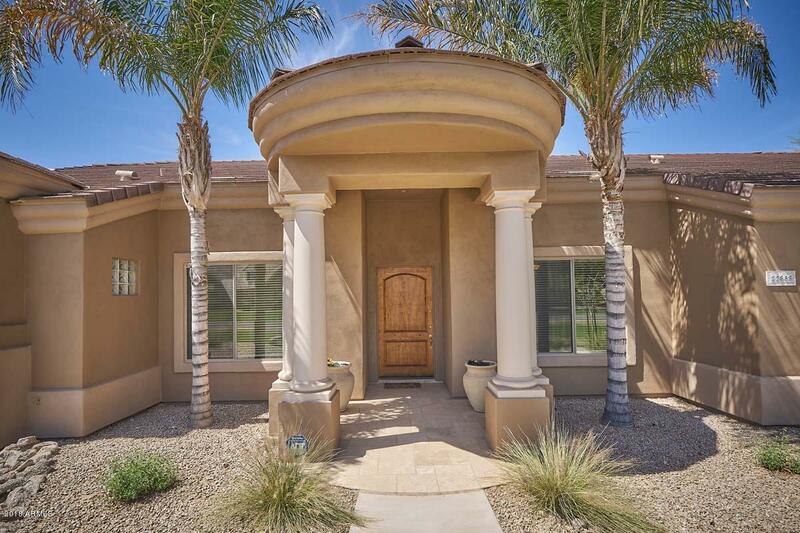 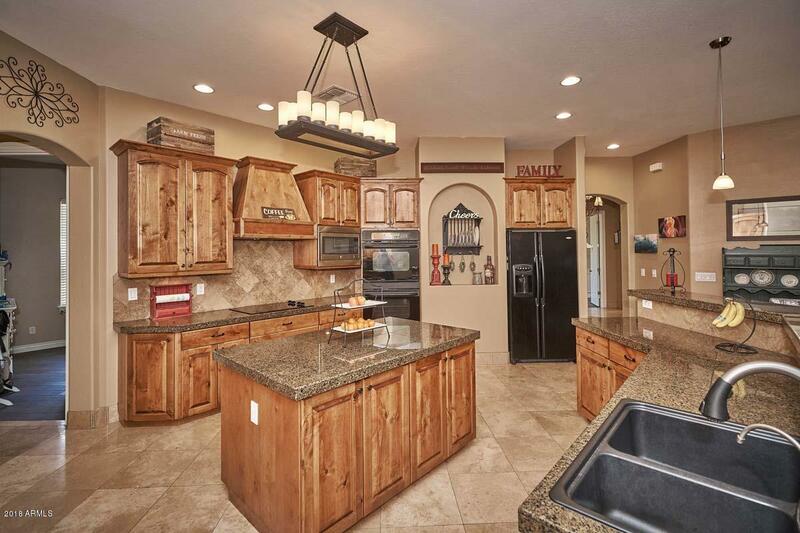 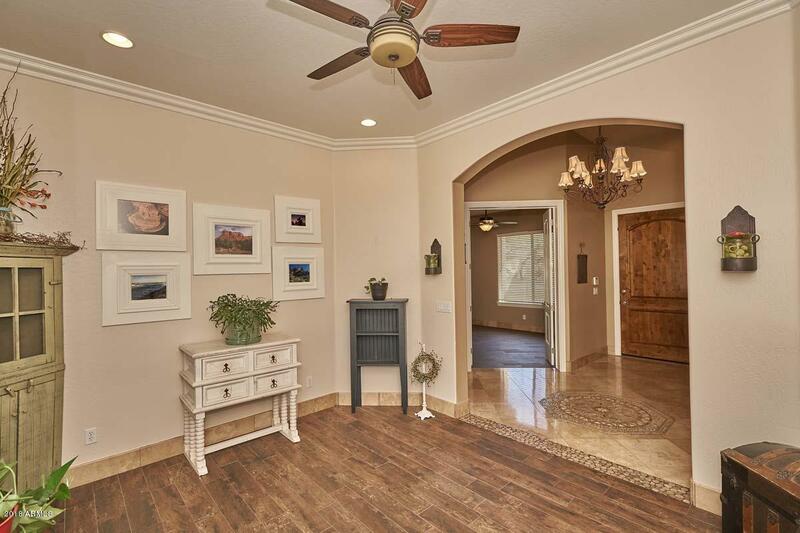 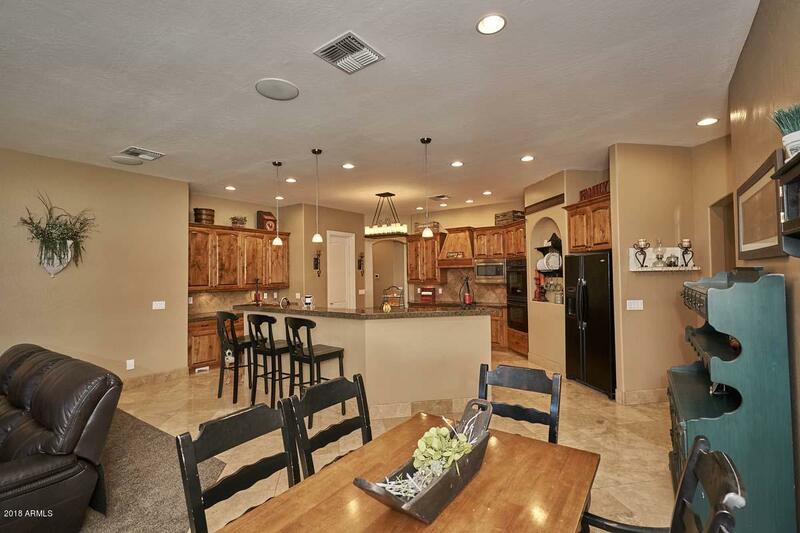 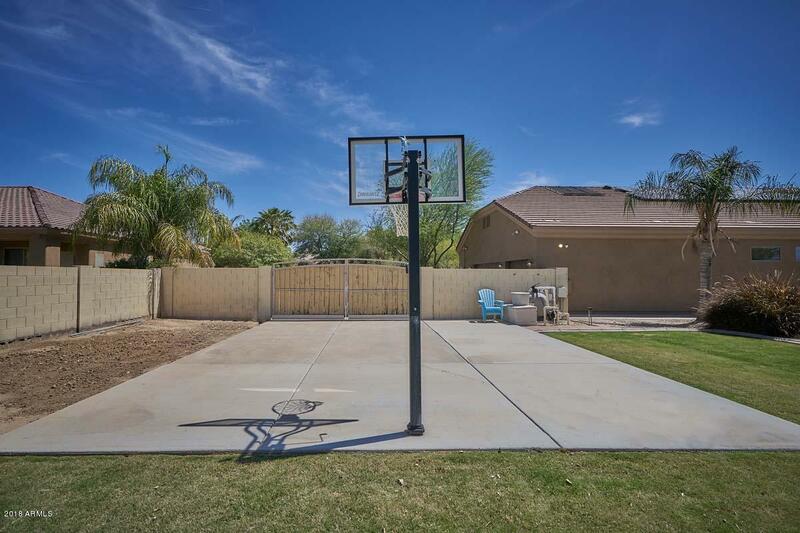 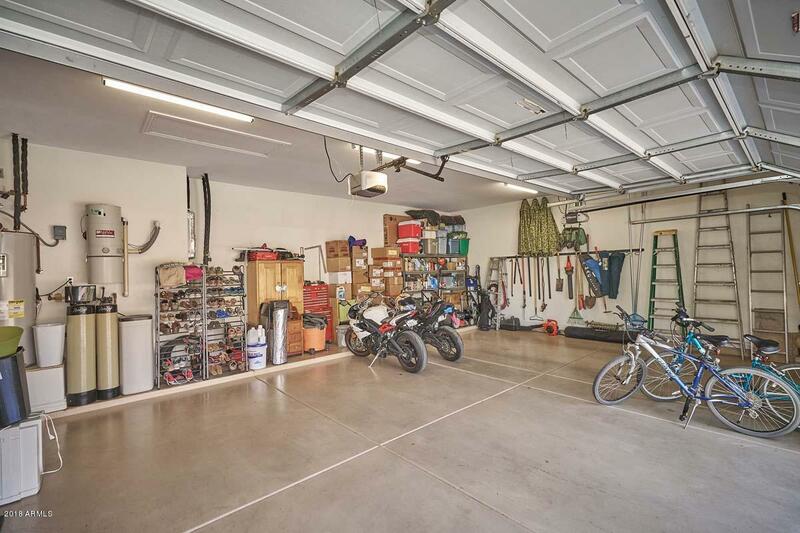 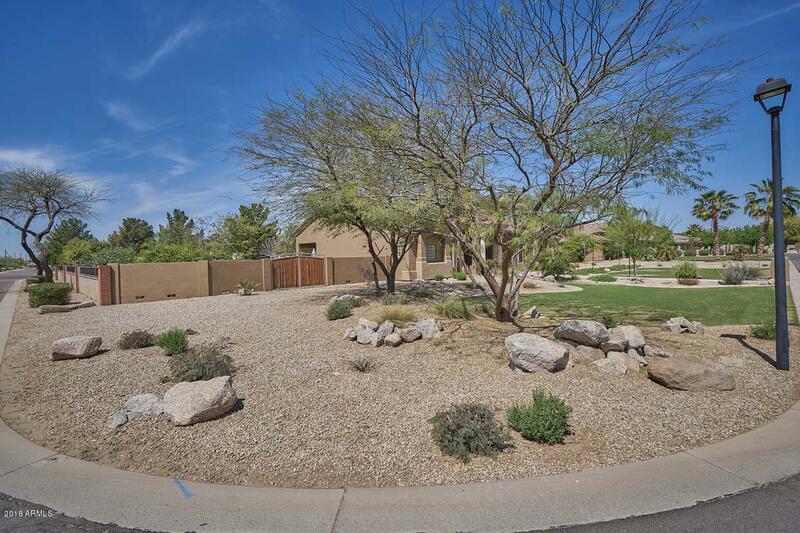 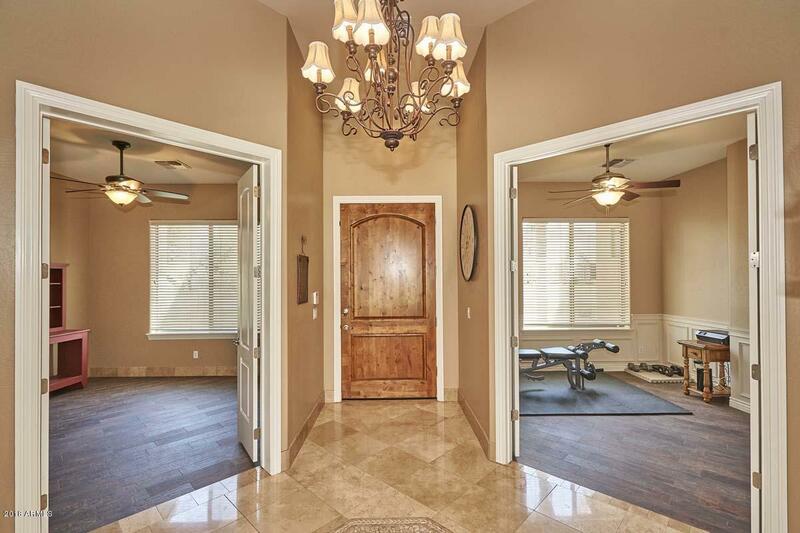 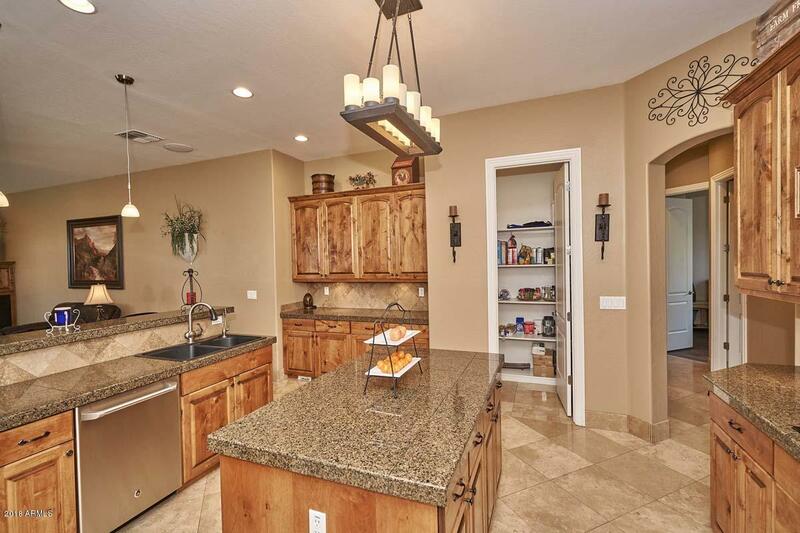 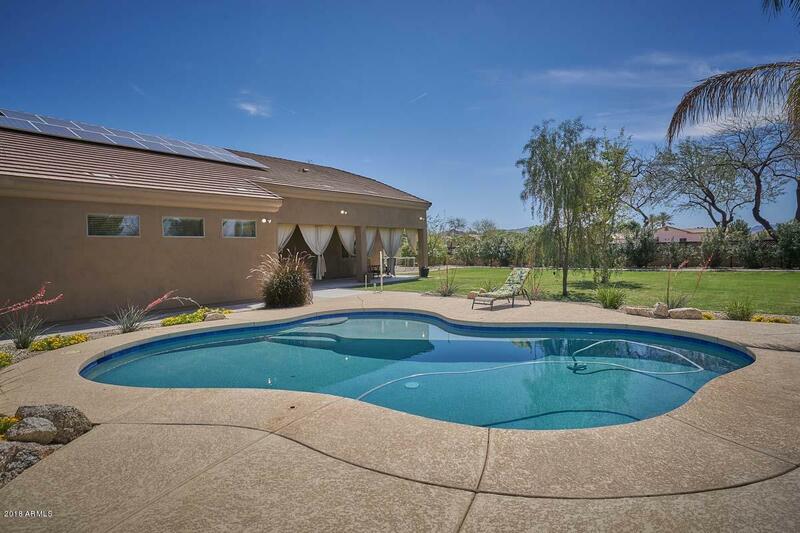 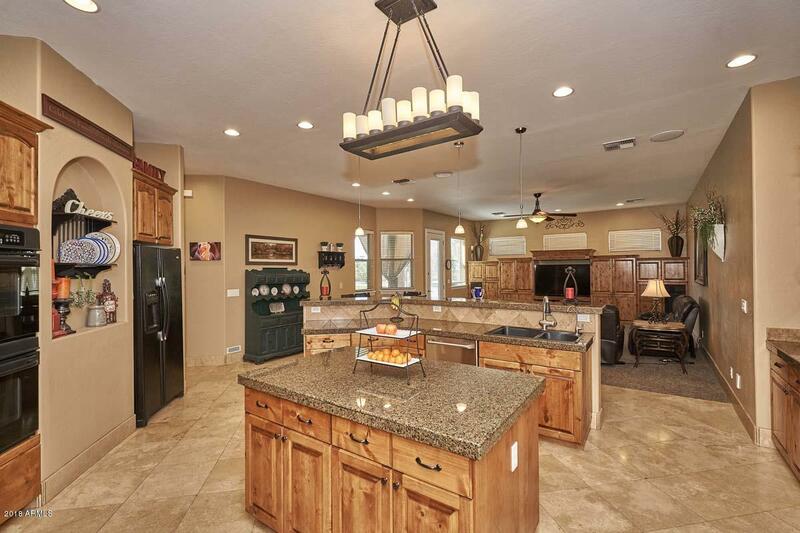 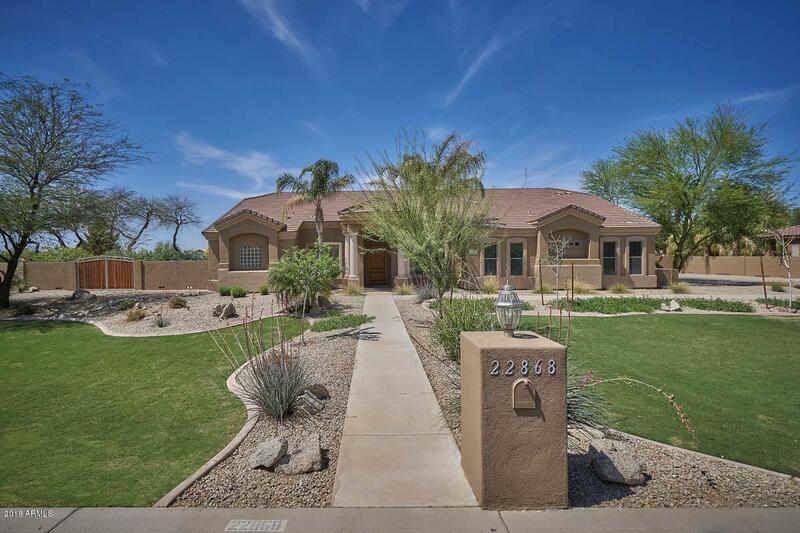 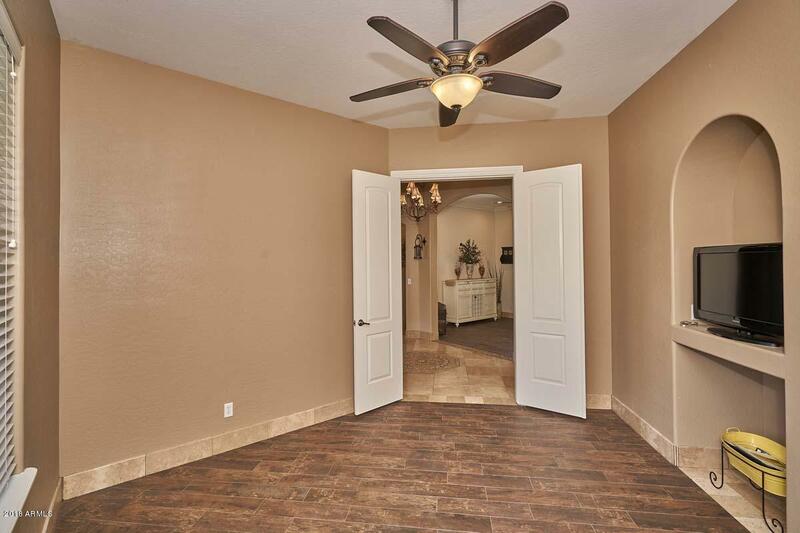 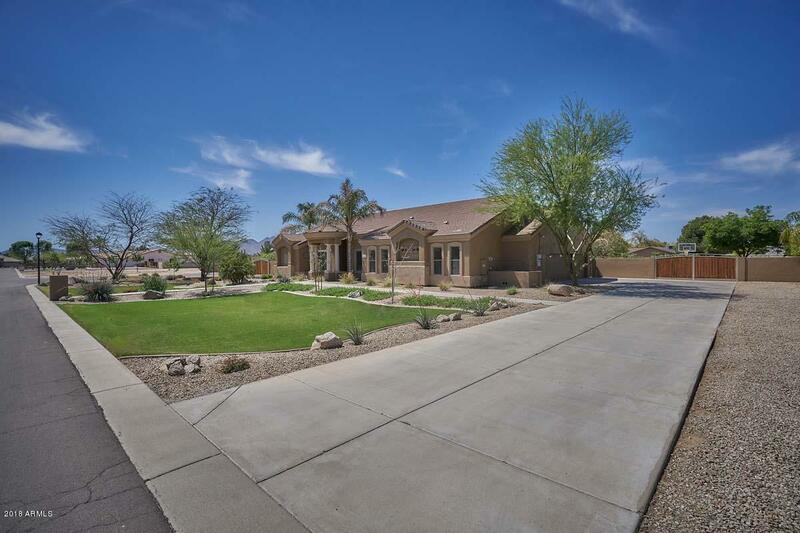 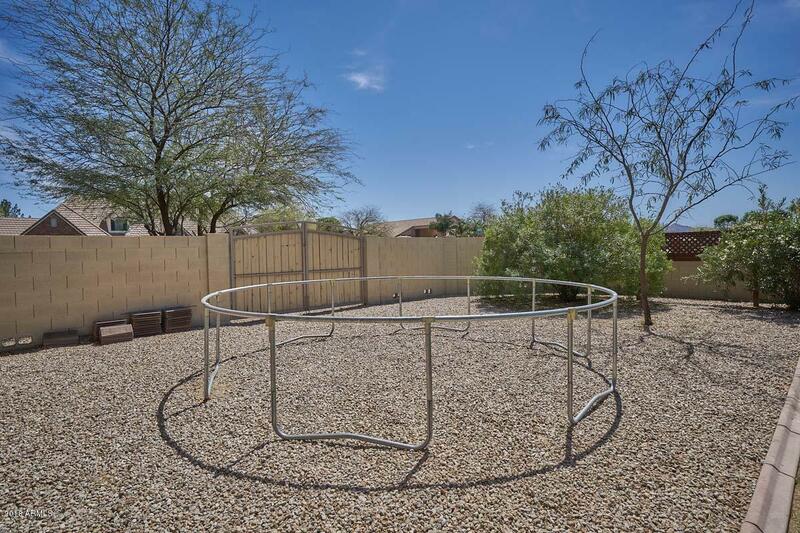 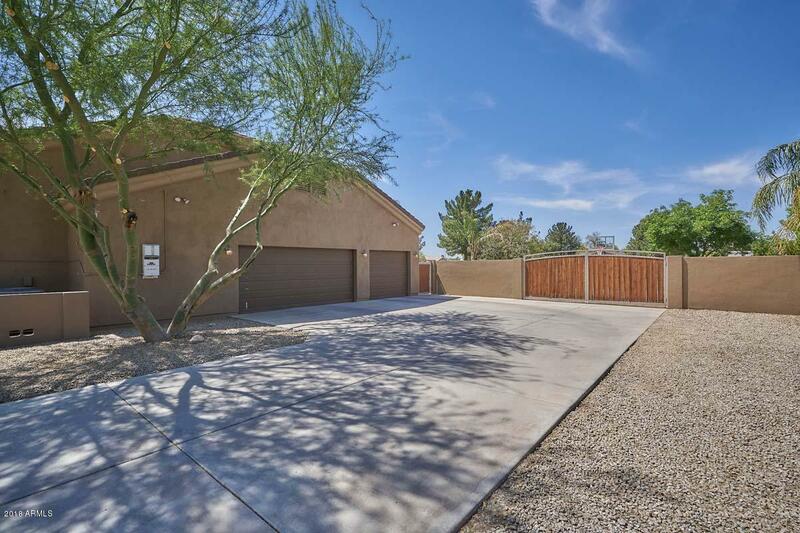 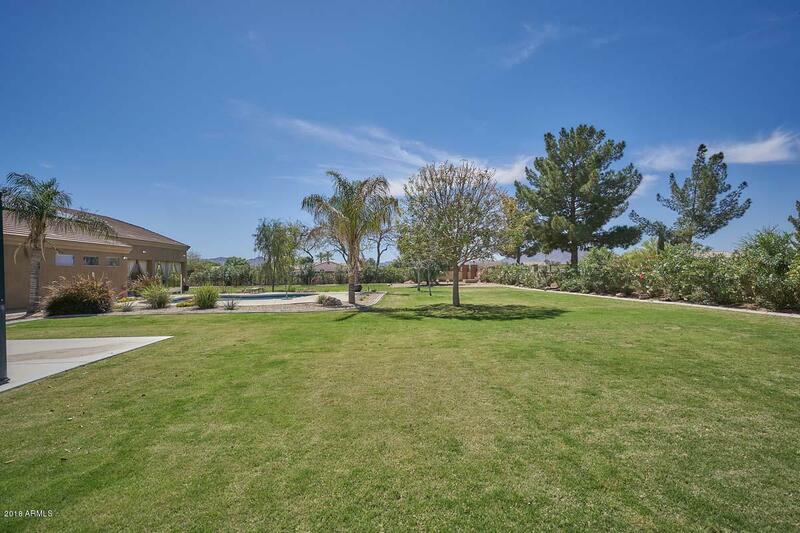 Custom home on large lot with SanTan Mtn views. 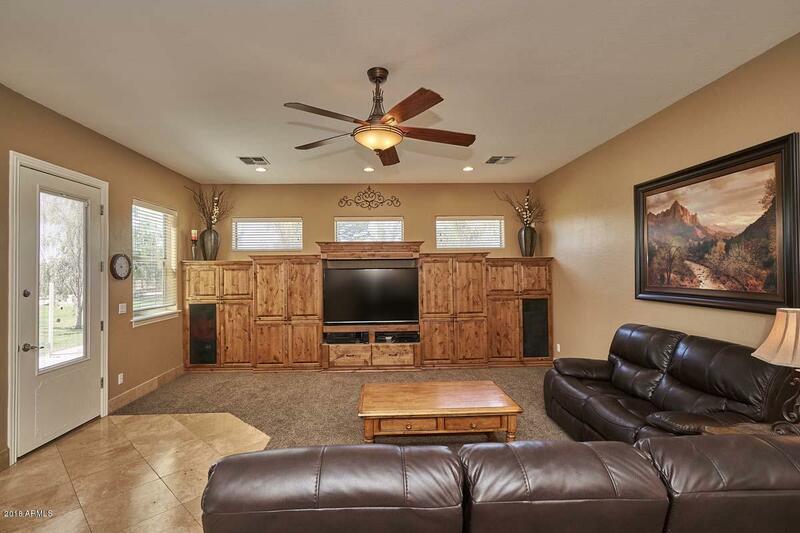 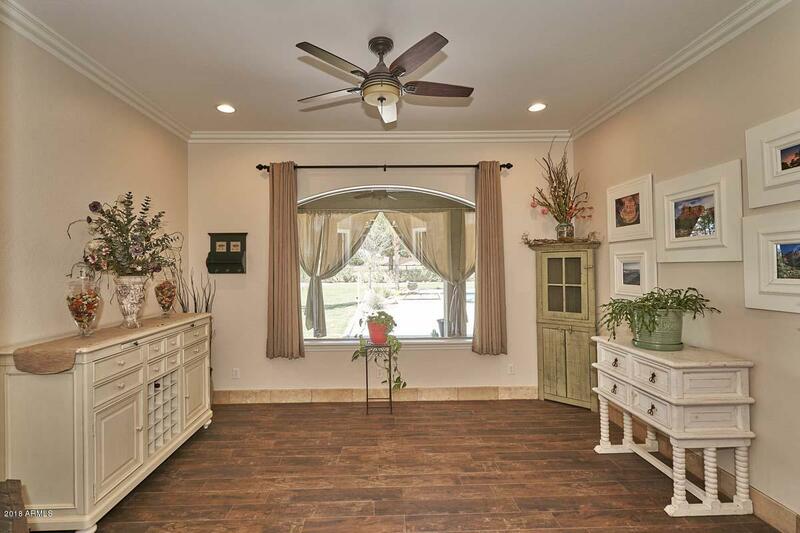 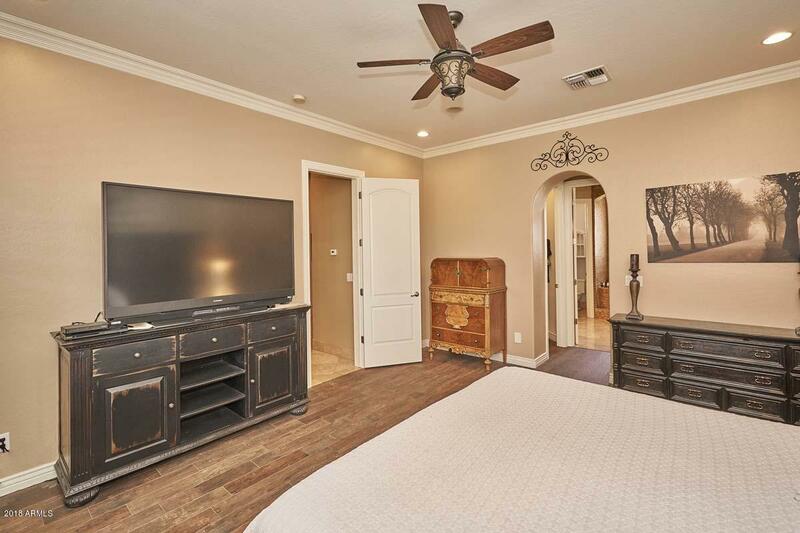 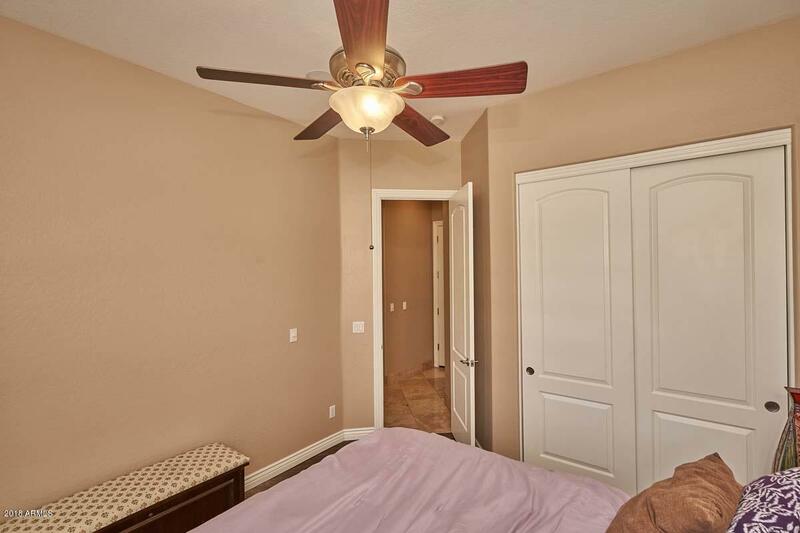 Features 10 & 12 ft ceilings, knotty Alder cabinets, travertine & wood look tile floors, newer carpet in family rm, central vac, Rainsoft RO & water softener. 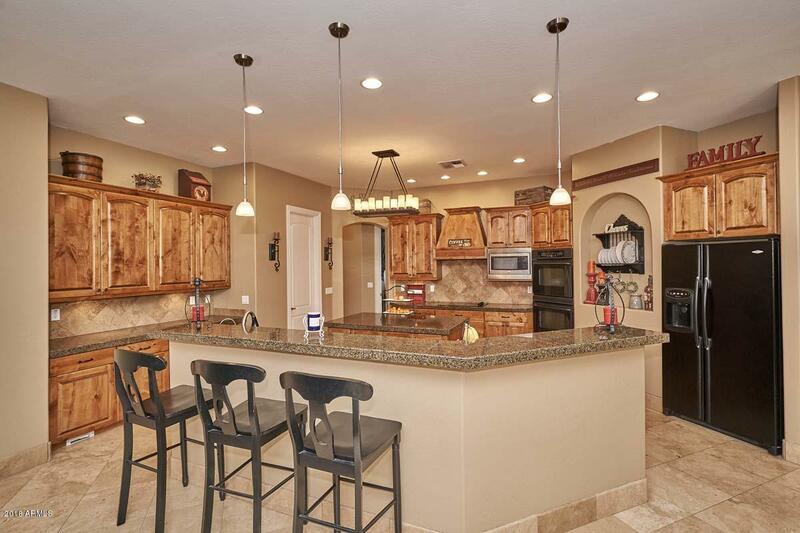 Gourmet kitchen with built-in appliances, granite counters, stone backsplash, & breakfast bar. 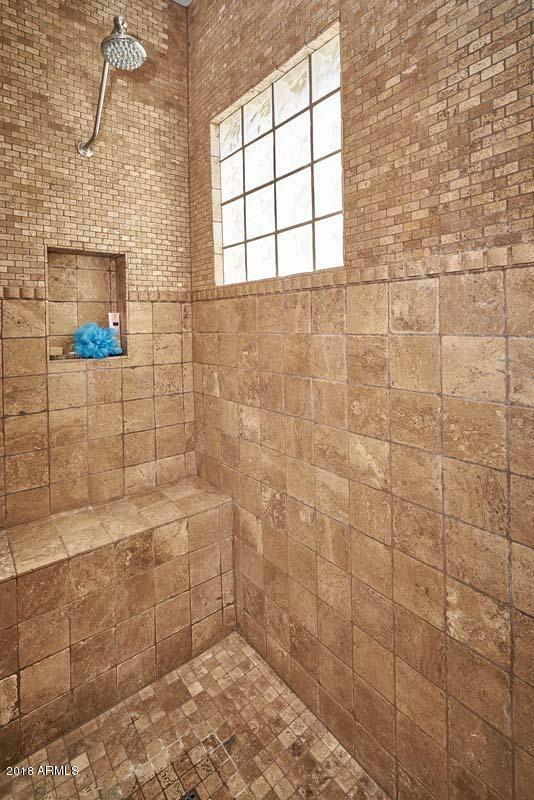 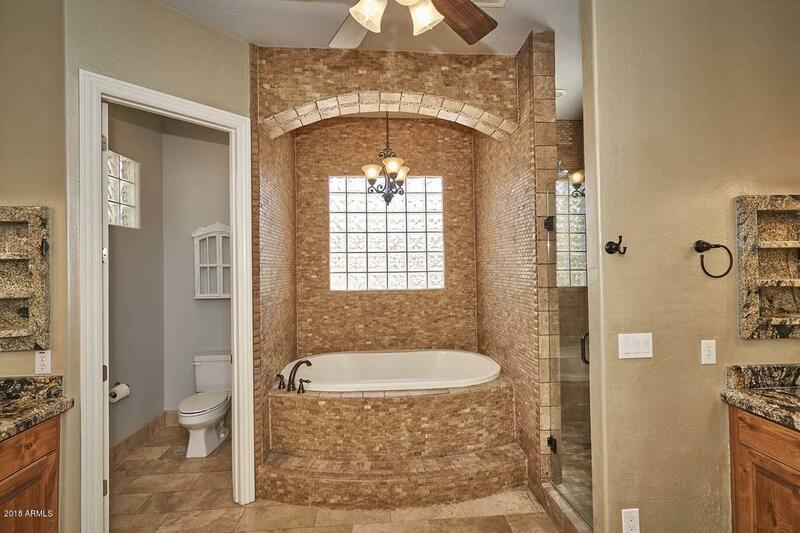 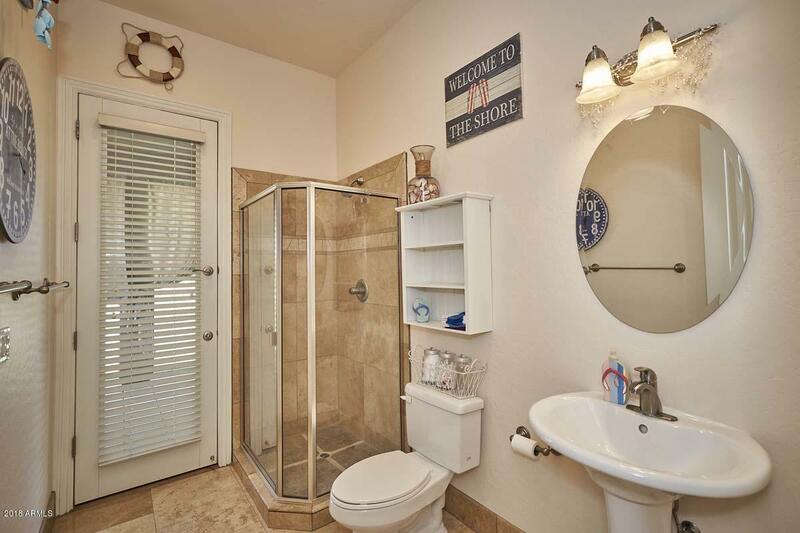 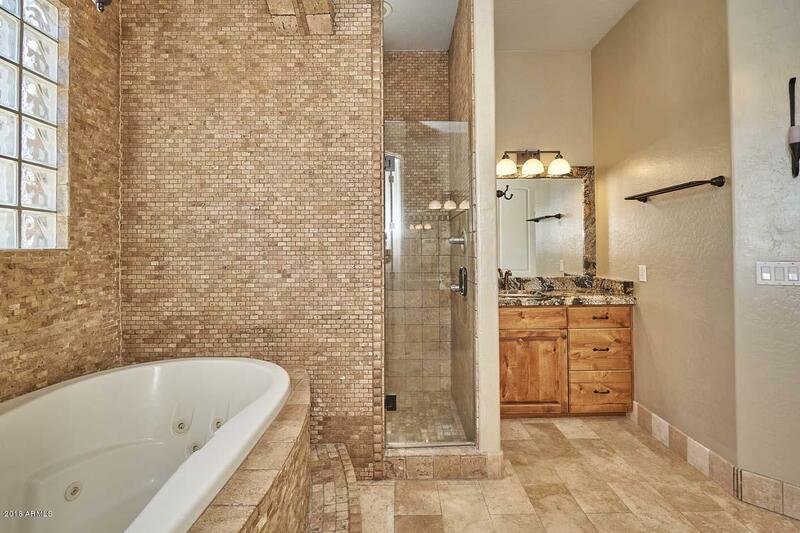 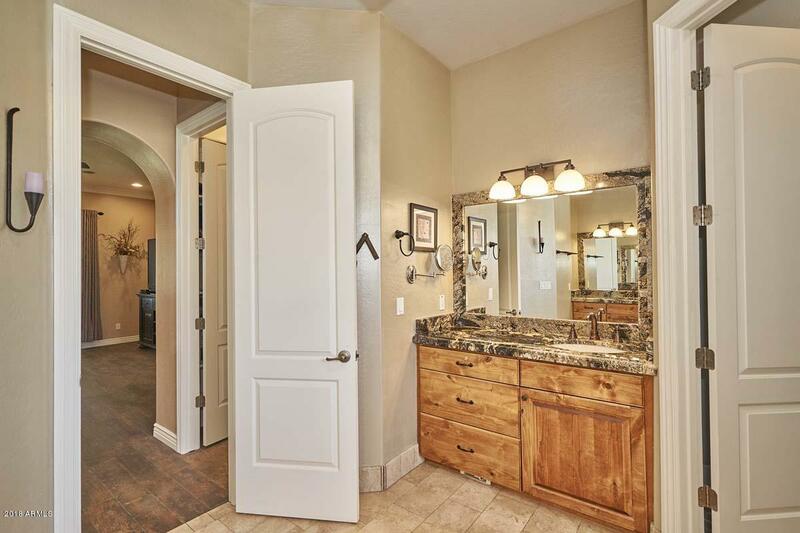 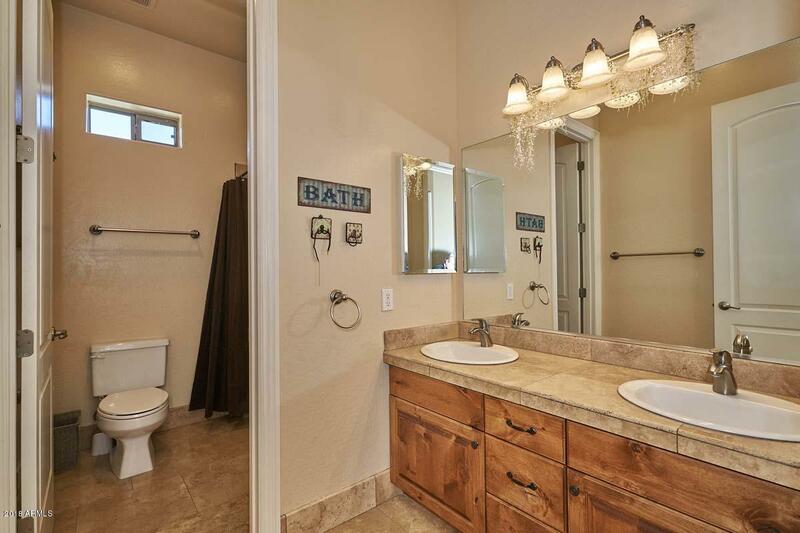 Master bath dual vanities, stone tile walk-in shower, & jetted tub. 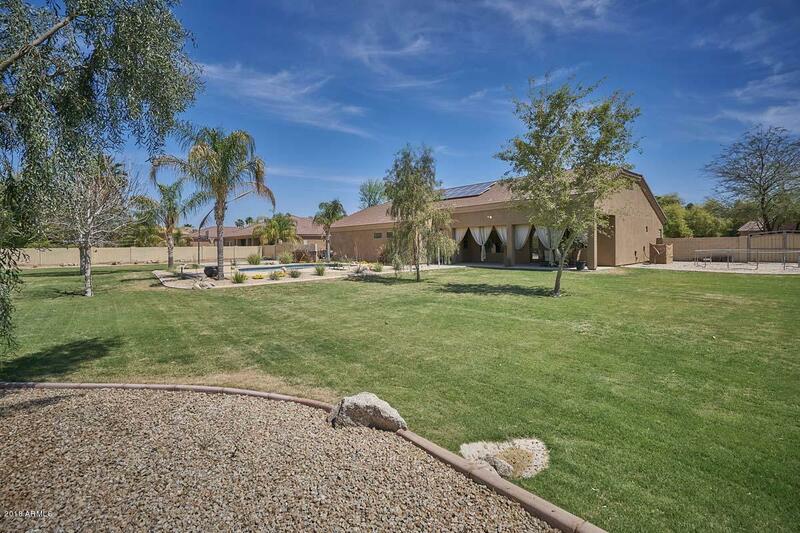 Structured wiring, whole home audio, & exterior speaker pre-wire. 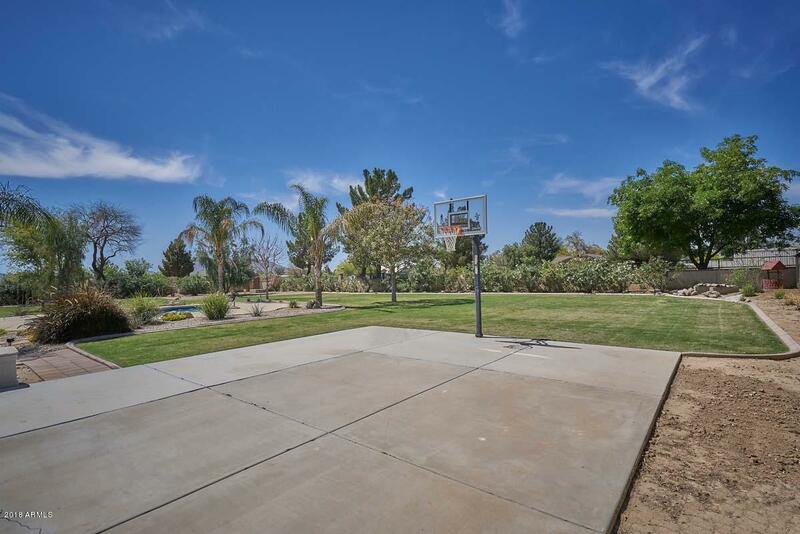 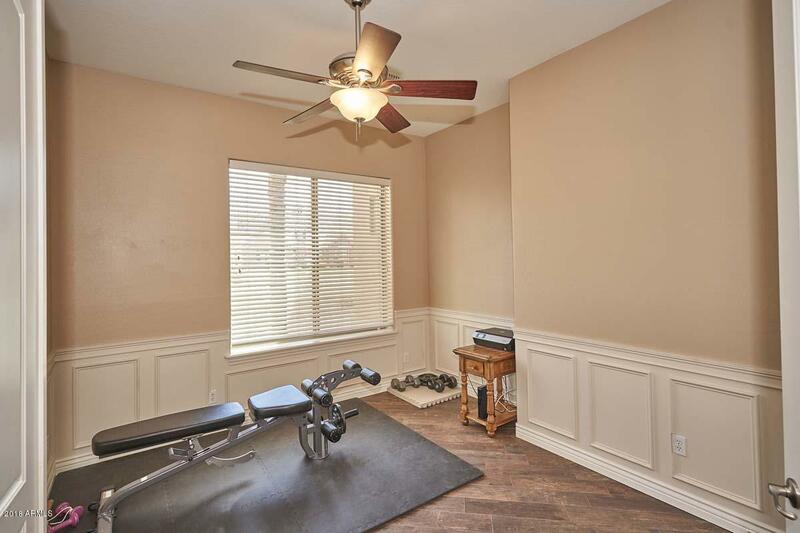 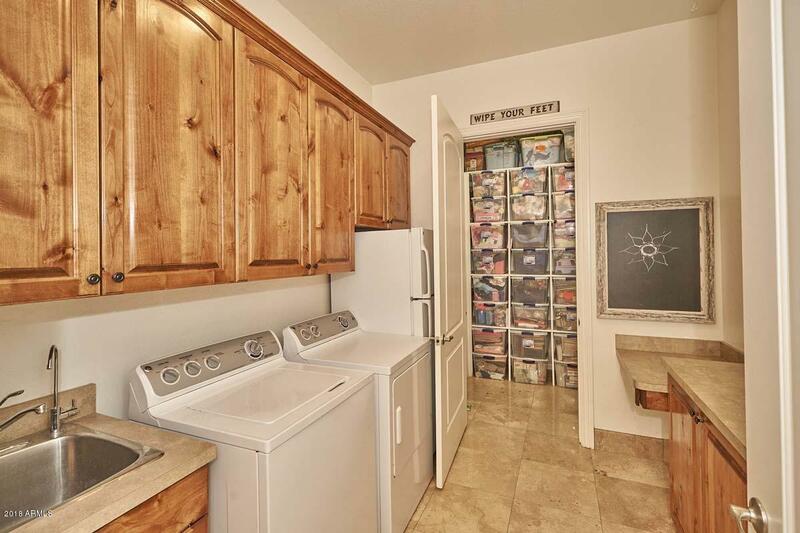 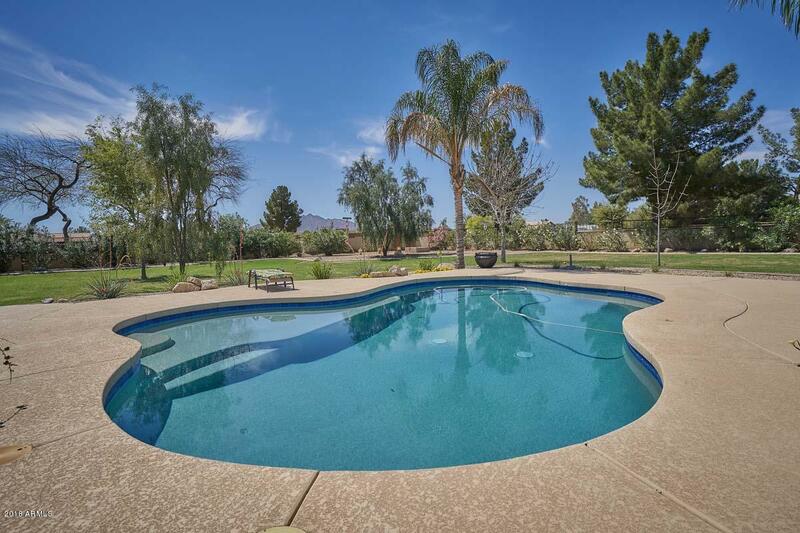 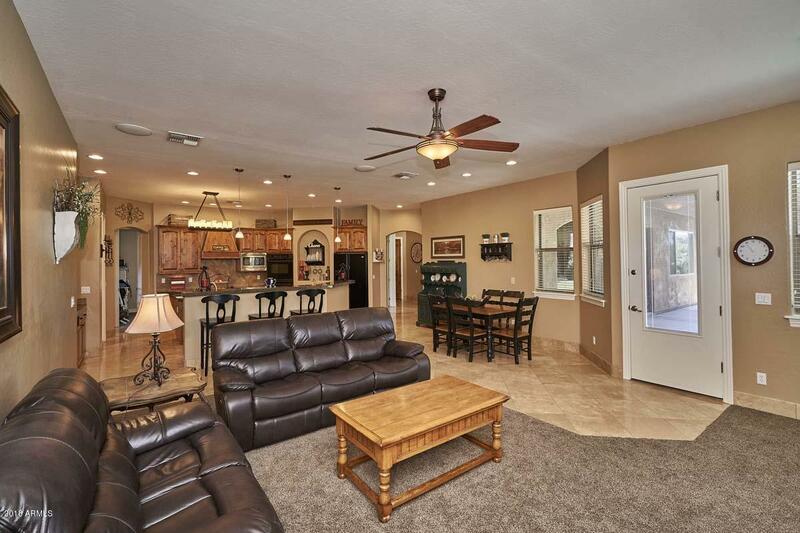 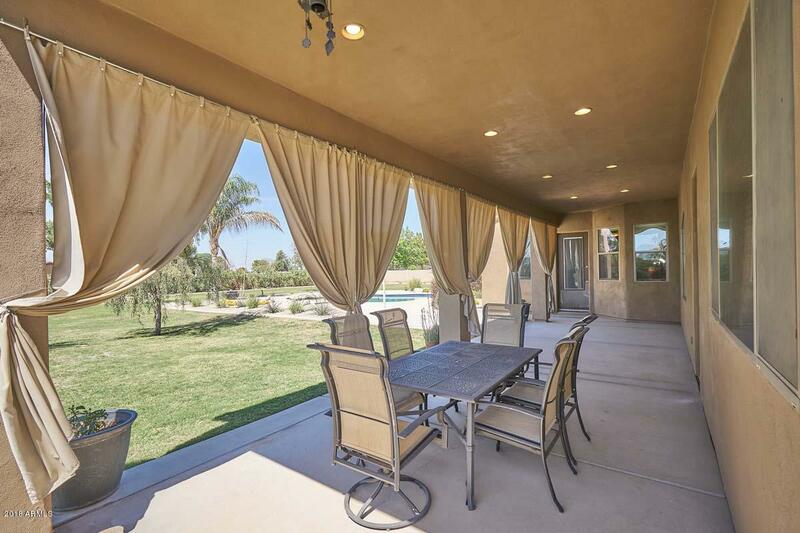 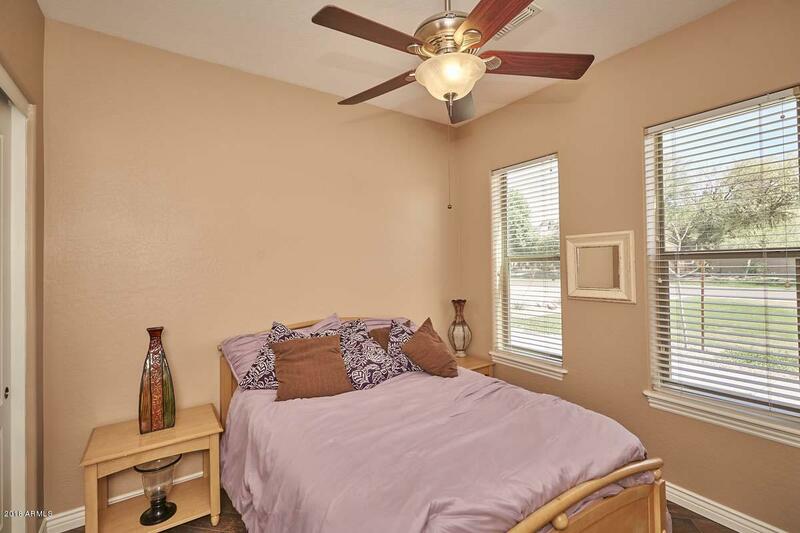 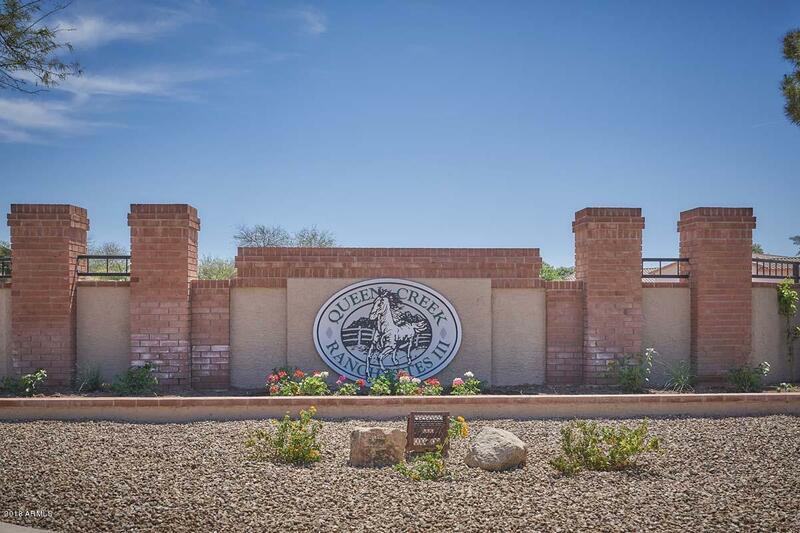 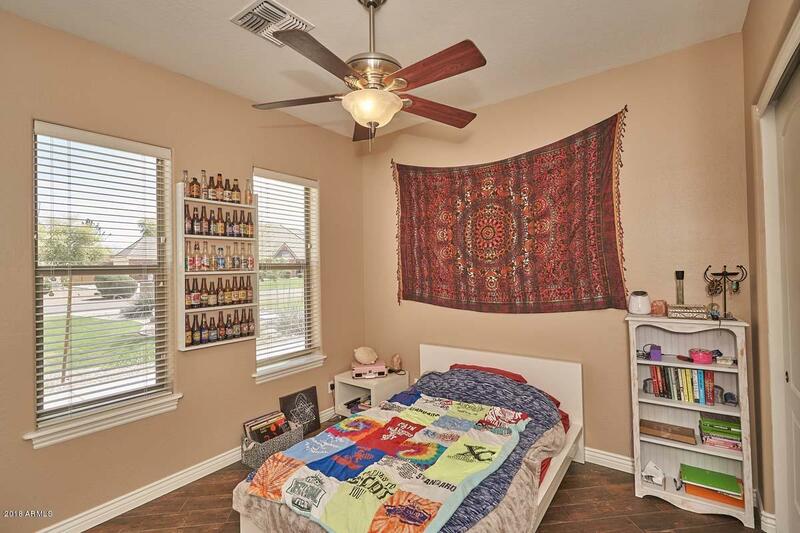 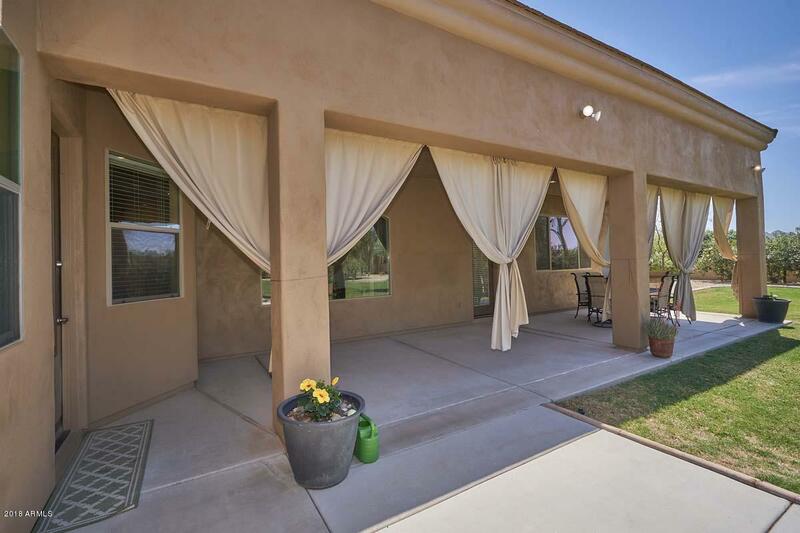 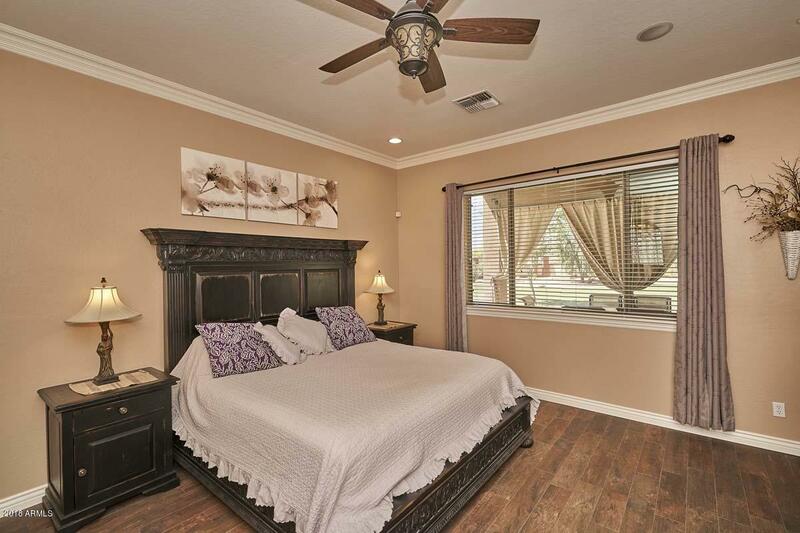 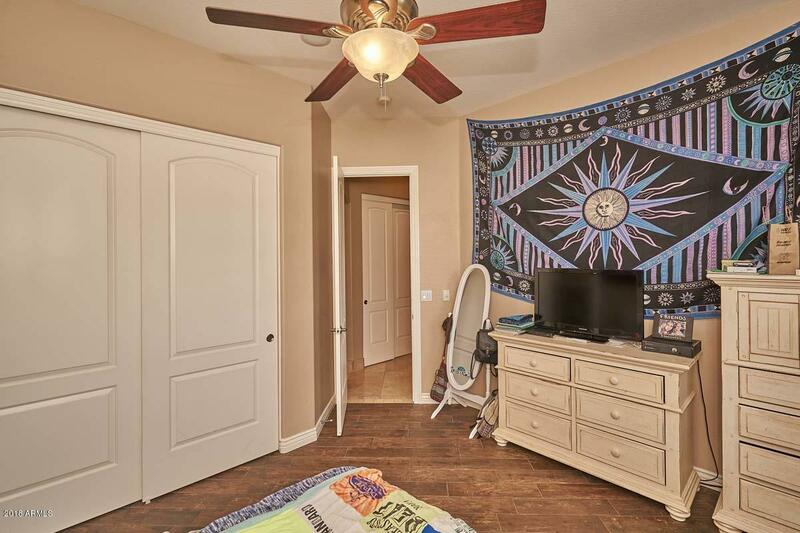 Exterior includes newer paint, covered patio & curtains, salt-water pool with newer pebble sheen surface & tile surrounds, landscaped front & back with auto irrigation, two RV gates, concrete pad, QC irrigation available. 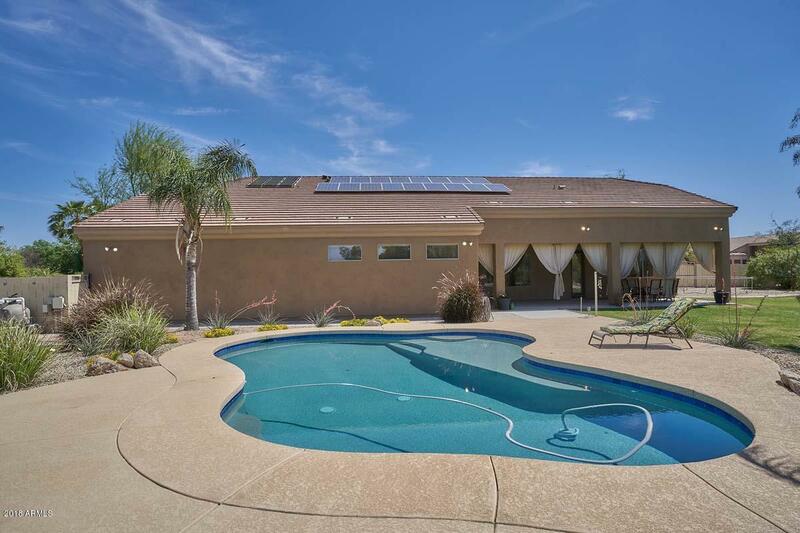 Owned solar panels & solar water heating, LED bulbs throughout & attic vent fan. 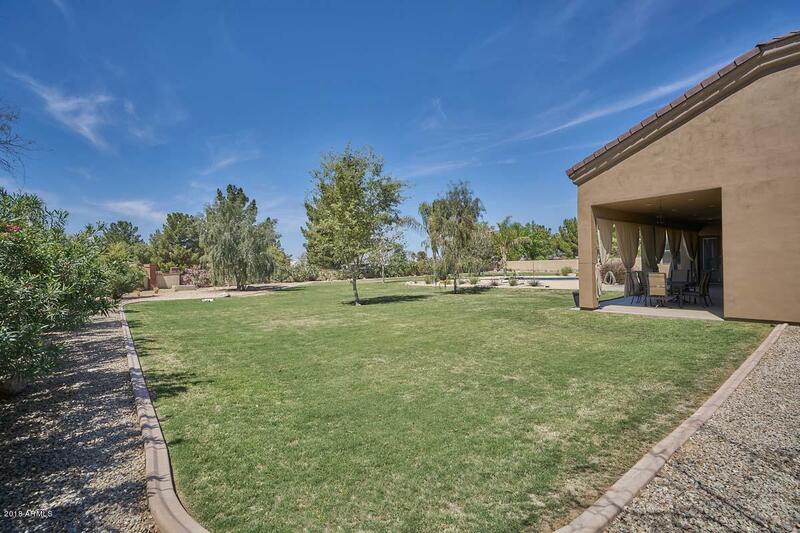 Close to QC Sonoqui Wash trail access & QC Marketplace.